Have yourself a Merry little Christmas. 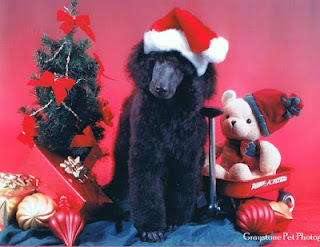 Looking forward to starting over and rebuilding the Poodle blog in the New Year 2019! 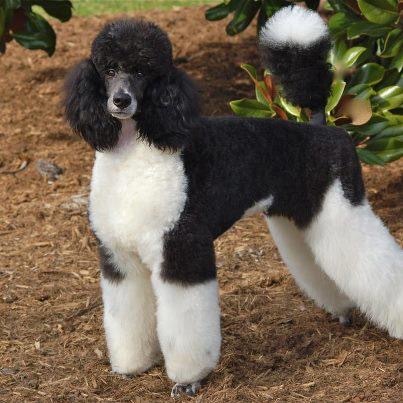 Best wishes, Melanie and Poodles Hudson, JJ and Sophie. Nutritional Information Almost Too Scary to Share! WYSONG TRUTH 45: APPROVED FOR ILL HEALTH? To assure safety and wholesomeness of pet foods, state and federal regulatory agencies prescribe or permit ingredients. Additionally, ingredients must be described on labels by precise nomenclature dictated by alphabet agencies such as AAFCO and the FDA. The problem is, those who sit on the committees deciding what can or cannot be approved may have commercial links. They can push through ingredients that should not be in foods, and prevent the approval of those which either rub prejudices the wrong way or which may create unwelcome competition to their own interests. On the other hand, state regulators (a manufacturer must get approval from each individual state) may have little nutritional knowledge or academic credentials, but a lot of power. Nutritionists who are consulted by regulators to help make decisions about ingredient approval are steeped in the reductionistic point of view. Since they believe nutrition boils down to percentages - % protein, % fat, % fiber, etc. - almost anything can be an approved ingredient provided these numbers are known. On the other hand, if a manufacturer wants to be innovative and pack as much natural nutrition into products as possible, important ingredients are not approved. For example, even though it has been proven that the amino acid, L-carnitine, may be deficient in processed pet foods, it has been forbidden. Proteoglycans such as glucosamine and chondroitin and other ingredients such as col­lagen, all of which have been proven to help prevent and alleviate arthritic conditions, have also been blacklisted. Special natural foods that are particu­larly nutrient dense, such as pollen, composted sea vegetation, sea salt, omega-3 fatty acids, various biologically active phytonutrients (dozens of these have been discovered and their proven effectiveness has created a class of beneficial ingredients known as nutraceuticals) and even some organic ingredients cannot be used because they are not "approved." There is no question of safety here - as regulators pretend - for these foods have been consumed for eons by animals and humans without ill effect. Animal food regulatory absurdity becomes apparent when the very ingredients banned for pet foods are sitting on shelves in grocery and health food stores fully approved for human consumption. "Approved" ingredient regulations cannot be trusted. Banning nutri­tious natural ingredients and approving dehydrated garbage and feces makes it clear that the agenda of regulation is something different than encour­aging optimal nutrition. Once again it becomes apparent that if you want what is best for yourself and your pet, then you better rely on your own common sense. This above post is copyrighted by Wysong, Inc. and is reprinted with permission. Interested in more information? Visit the Wysong website and also be sure to read other articles concerning dog food and nutrition on this blog. On the Wysong website, you can also sign up for their free emails concerning "100 Truths". The more I read, the more convinced I am that we have got to be more careful in our selection of pet foods, and our dogs really do need more fresh food from our kitchen, because it is impossible to get "complete and balanced nutrition" from feeding commercial pet food alone. How many dog food companies are going to tell you this type of information? So far I have heard it from only one head of a pet food company, and that is Dr. Randy Wysong! No, I don't sell Wysong or any other pet food. You can find Wysong at upscale pet supply stores, you can buy it direct from Wysong at www.wysong.net or click the Pet Food Direct widget on my website and order through my affiliate link with Pet Food Direct. I personally have had good success with ordering directly from Wysong, as far as very quick service plus they have wonderful educational materials available. If this is the first you have heard of Wysong, please be sure to visit their website! I rotate dog food, as Dr. Wysong has always suggested, and as of the date of reposting this article, 12/10/18, I am also using Canidae and Nature's Recipe. Hi everyone! You probably haven’t seen any new posts on this blog in the past couple of years. 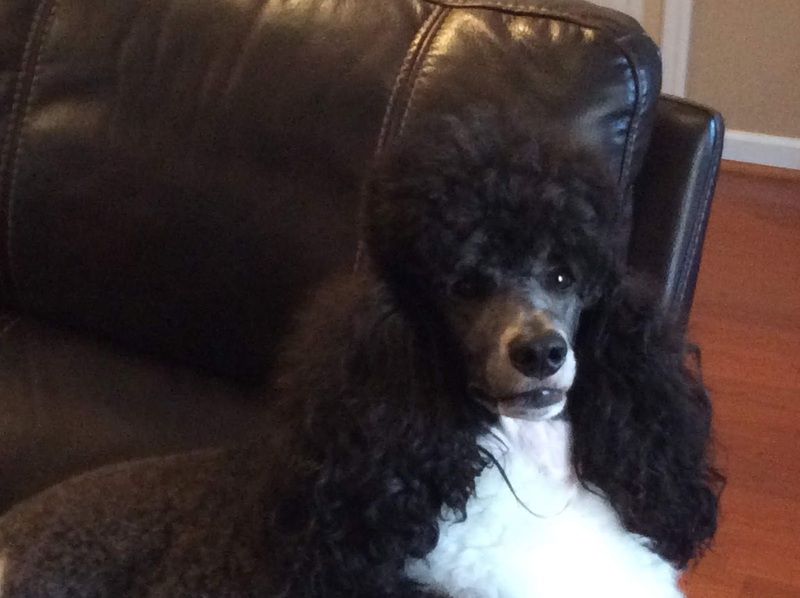 This is because my Mom sold the Poodle blog, when she got busy with other things. But, I missed having a place to share my thoughts and photos with you! So Mommy contacted the person who purchased the blog and she sold it back to us! It may take awhile before the Poodle blog starts gaining steam again, and you may see something on the site from the previous owner that we haven’t yet deleted. Please bear with Mom while she gets back in to blogging mode! 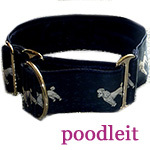 Meanwhile, stay in touch and tell your friends who love Poodles, including partis like myself, to follow us! And Mom says be sure to send us any Christmas or holiday photos you might like to share! Who knows, you might see your photo in my next post! Photo copyrighted by Veronica Kelso, all rights reserved. May not be reproduced in any fashion, or used on any other website, without the photographer’s permission. All content on this website is also copyrighted by Melanie Schlaginhaufen and may not be reproduced without written permission. Thank you for respecting our copyright!